The town of Playa Del Carmen has a unique way of doing just about everything. From live music venues to trendy unique dining and dancing spots all over 5th Avenue, if you’re looking for an authentic Mexican experience on the incomparable Caribbean Sea, Playa Del Carmen is the place to be. Nestled between dense Riviera Maya jungle and Playa del Carmen's largest stretch of beach spanning 800 pristine feet, the newly transformed Mahekal Beach Resort brings the Playa del Carmen experience to unprecedented new levels. Experience the new Mahekal Beach Resort with the same authentic concept, only better. Freshly re-imagined guestrooms and lobby highlight the makeover while fabulous new pools, restaurants and bars abound in this tropical destination . 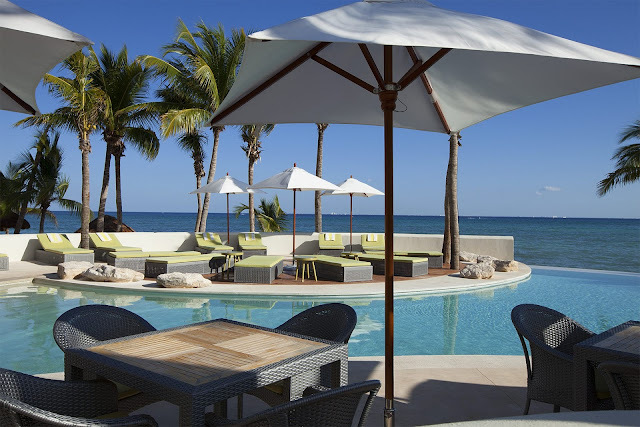 Located in the heart of Playa del Carmen - rated the Number 1 Destination in Mexico by Trip Advisor - Mahekal Beach Resort will provide all guests with an unforgettable Caribbean vacation. Be swept away by Mahekal Beach Resort, a Playa del Carmen resort that recently experienced a complete $10 million dollar transformation. Exclusive bungalows with ocean and garden views have been renewed, only two-minutes away from the private, guests-only portion of the beach. Inspired by “GypSet Style,” Mahekal’s interior design embodies the bohemian gypsy lifestyle with colorful Mexican accents – including standout designs like Missoni-esque fabrics in the eclectic lobby and fireplace seating area as well as bright orange ping pong tables and cobalt blue billiard tables in the main lobby bar and activity center. Discover a gem among Playa del Carmen resorts with 122 grass thatched-roof bungalows, two swimming pools, one seaside Jacuzzi, two restaurants and three bars. For more information on Mahekal Beach Resort, visit www.mahekalbeachresort.com or call toll-free 1(877) 235 4452.